Recorded à la maison in Marseille. cosmos 70 is sampling grauzone's film 2. . . .
A wonderful and remarkable album in the sense that everything Carretta produced after this is, well... not as good. As PatrickS' review states, all tracks are filled with that unmistakable oldschool electro/italo-disco vibe. High-paced, at times uplifting and at others straight-up banging. Seriously underrated and therefore, highly recommended! This is one of my favorite albums on International Deejay Gigolo with a lot homage in the 60s until 80s heroes of electronic music. From the 67er "Contact" cover by Brigitte Bardott up into the 80s as the Divine with Moroder bass were on (Metal Disco Class). 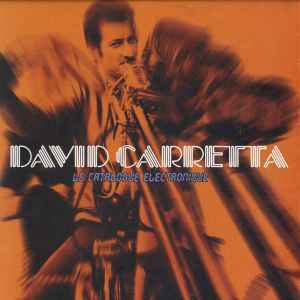 Quite Carettas strong roots in the 80s between Nitzer Ebb, Front 242,Liaison Dangereuses and Depeche Mode. Almost every track are parallel to past days. A timeless piece of music.